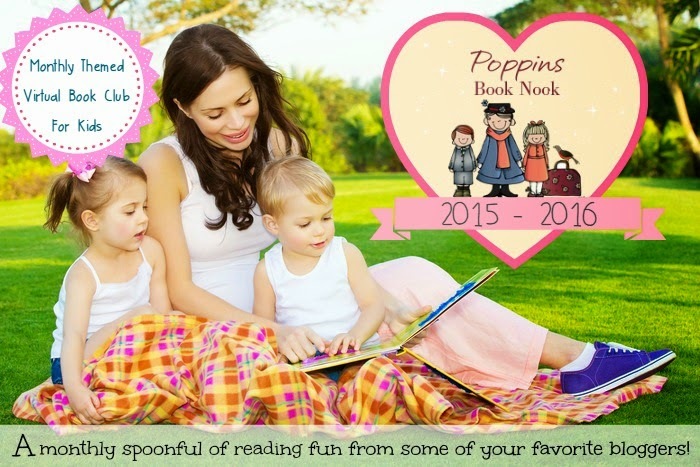 Welcome to the October edition of Poppins Book Nook! I am so excited to be a part of this great book club again this year. Won't you join me for a year of book related fun. I found some great children's books about artists. The problem was, narrowing them down to see what we were going to use for this month. 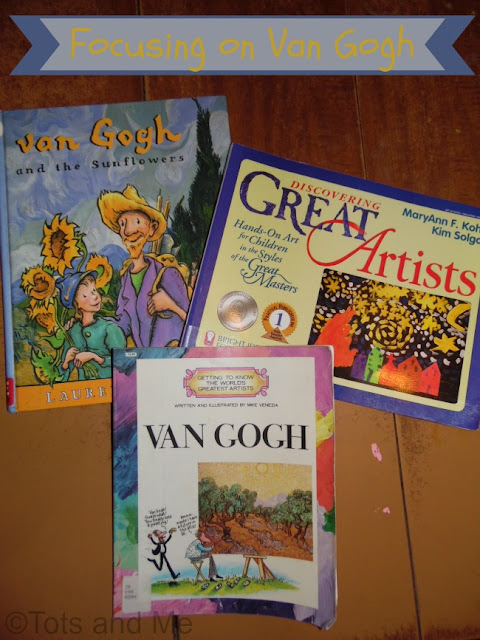 I decided to focus on Vincent Van Gogh which worked out really well with the unit we are on in our My Father's World Adventures curriculum. We have been learning about Jesus being the light of the world, so our science lessons have been about stars. I did not plan this, and I didn't even realize the connection until after I decided we were going to make Starry Night pictures. We started out by reading Van Gogh and the Sunflowers. I had also taken out the book Camille and the Sunflowers: A Story About Vincent Van Gogh by Laurence Anholt. Turns out, this is the same book, just published under a different name. This is a true story from Van Gogh's life. He had gone to the south of France in search of "sunshine and bright colors." He painted Camille and his family along with many other paintings at this point in his life. However, he was unable to sell his paintings and he was ridiculed. Camille was upset at the way people treated his friend Vincent, but his father comforted him and told him one day people would love Van Gogh's paintings. The book ends by declaring that Camille's father was right and people have learned to love Van Gogh's paintings. I have to admit, I had forgotten about Van Gogh cutting off his ear and killing himself. This information isn't in the story, but it is in the information at the side of the last page. I was going to skip it, but it turns out my daughter had already read it, so it drew more attention to what I wanted to avoid because I then had to read it. After we were done reading, the girls wanted to get out the paints and make some pictures. 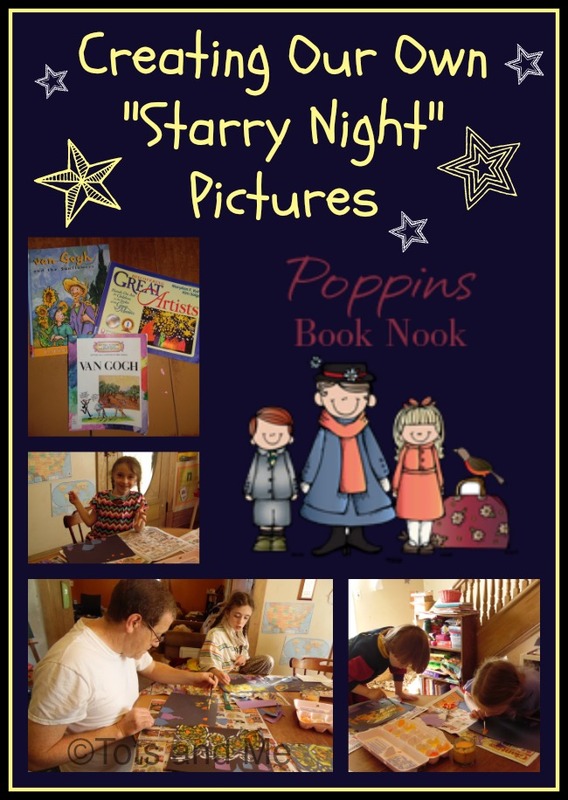 Then, we used the book Discovering Great Artists to make our own "Starry Night" pictures. Even daddy and mommy wanted to make one. We started out by cutting purple and blue paper into little buildings. Then we glued them onto the bottom of our paper. I then demonstrated how to paint the stars and the moon in the sky. We started with the darker colors. As we radiated outward, we used lighter yellow. Here are our finished paintings. Don't forget to check out what the other Poppins Book Nook co-hosts have been up to this month. Then, don't forget to link up your own posts! 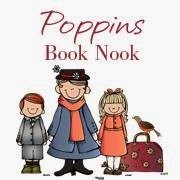 Come and find out more information about Poppins Book Nook at Enchanted Homeschooling Mom, on Facebook and on Pinterest.